Mr. Lasnetski was recognized by Jacksonville Magazine as one of 2011, 2012, and 2013 Northeast Florida's Best Lawyers and as one of The National Trial Lawyers Top 100 Trial Lawyers for 2011, 2012, and 2013. Mr. Lasnetski has been practicing law in Jacksonville for over 10 years. He focuses his practice on criminal defense and immigration. Mr. Lasnetski received his Bachelor of Arts degree with honors from the University of Florida in 1997. Mr. Lasnetski went on to obtain a law degree and an M.B.A. from the University of Florida in 2001. In law school, he received the Book Award in Torts, which is presented to the student with the highest grade in the class. After graduation, Mr. Lasnetski accepted a position as a prosecutor at the State Attorney&apos;s Office in Jacksonville. During the next 6 1/2 years, Mr. Lasnetski tried more than 50 criminal trials, including more than 40 felony trials. Those trials have included First Degree Murder, Armed Robbery, Trafficking, Domestic Battery, DUI and many other charges. During his career at the State Attorney&apos;s Office, Mr. Lasnetski gained experience in the Misdemeanor unit, the Felony unit, the Gun unit, the Special Prosecution unit, and the Repeat Offender unit. He was promoted in 2007 to Division Chief of the Repeat Offender Unit. Mr. Lasnetski was also a full time member of the Homicide Prosecution Team. As a member of that team, Mr. Lasnetski would respond to the scene of homicides and participate in the law enforcement investigation from start to finish. After the investigation concluded, Mr. Lasnetski would determine whether prosecution was warranted. If so, he would maintain control of the case throughout the entire criminal process, from beginning of investigation through sentencing. As a criminal defense attorney, Mr. Lasnetski has used the knowledge and experience he gained at the State Attorney&apos;s Office in the legal representation of those in need in every criminal law area, including DUI, Domestic Violence, Felonies, Misdemeanor, Federal and many more. Mr. Lasnetski is a Board Certified Criminal Trial attorney. The Florida Bar has certified Mr. Lasnetski as an expert in the area of criminal trial law. For more information on board certification, please visit the Florida Bar&apos;s website at www.floridabar.org/certification. Mr. Lasnetski was recognized by Jacksonville Magazine as one of 2011, 2012, and 2013 Northeast Florida&apos;s Best Lawyers and as one of The National Trial Lawyers Top 100 Trial Lawyers for 2011, 2012, and 2013. Mr. Lasnetski has also dedicated his practice to the representation of individuals with a variety of immigration needs. Mr. Lasnetski is a member of the American Immigration Lawyers Association. He helps people that are seeking visas, extensions, change or adjustment of status, and many more benefit side immigration issues, as well as represents those that have received a notice to appear or are being detained for potential removal or deportation, including bond hearings, removal hearings and more. 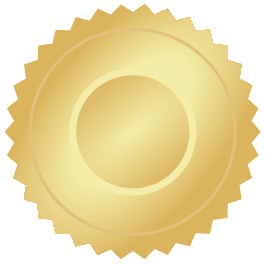 "Board Certified lawyers are legal experts dedicated to professional excellence."